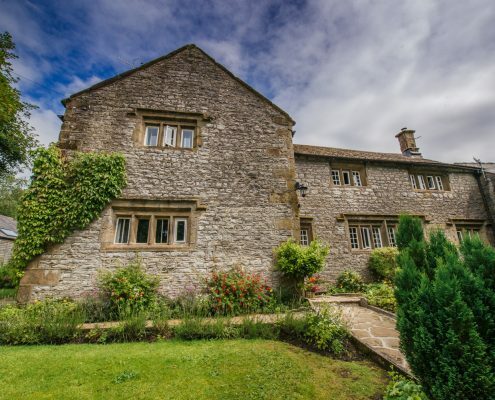 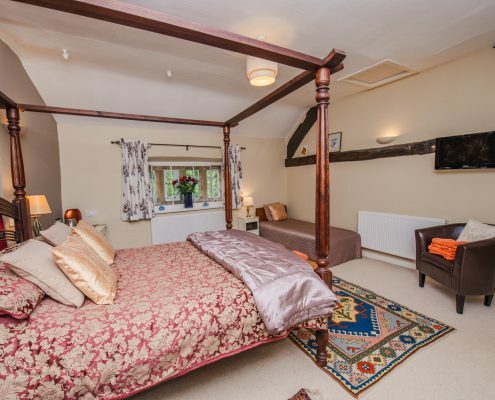 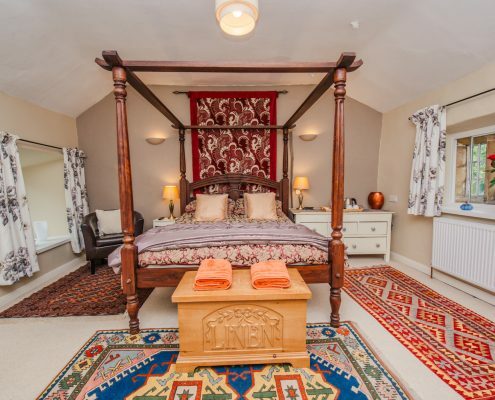 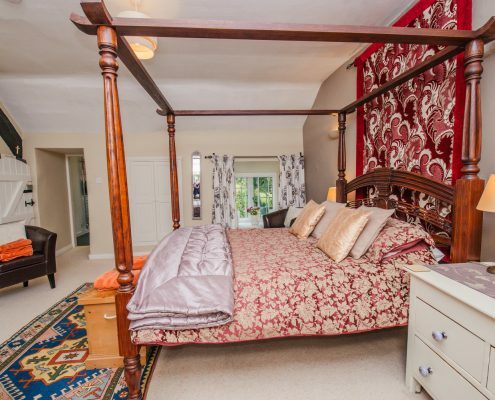 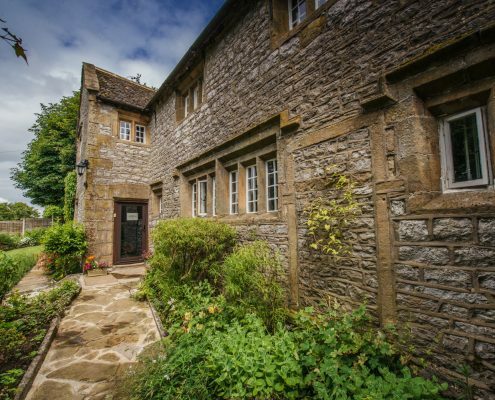 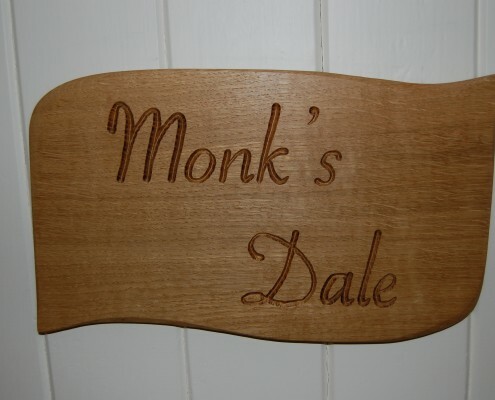 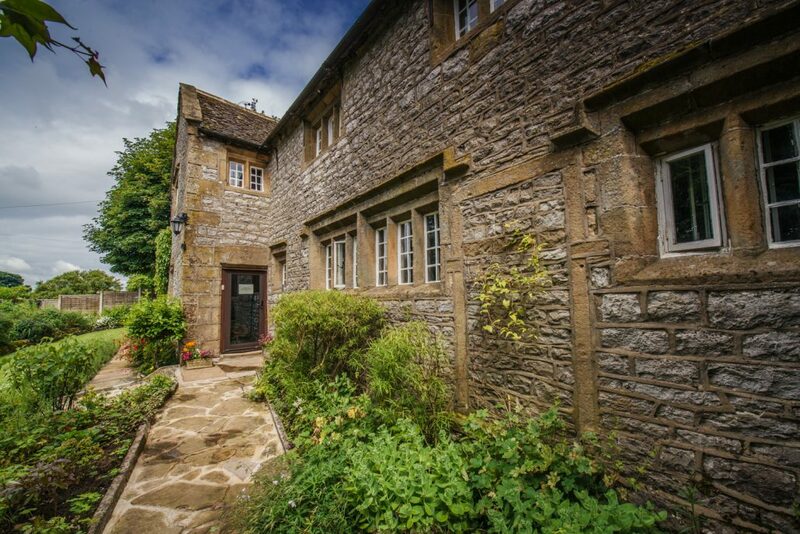 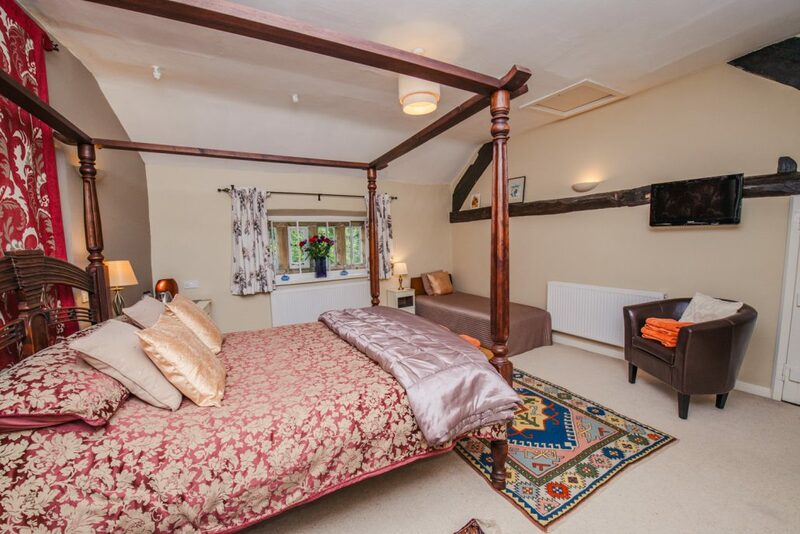 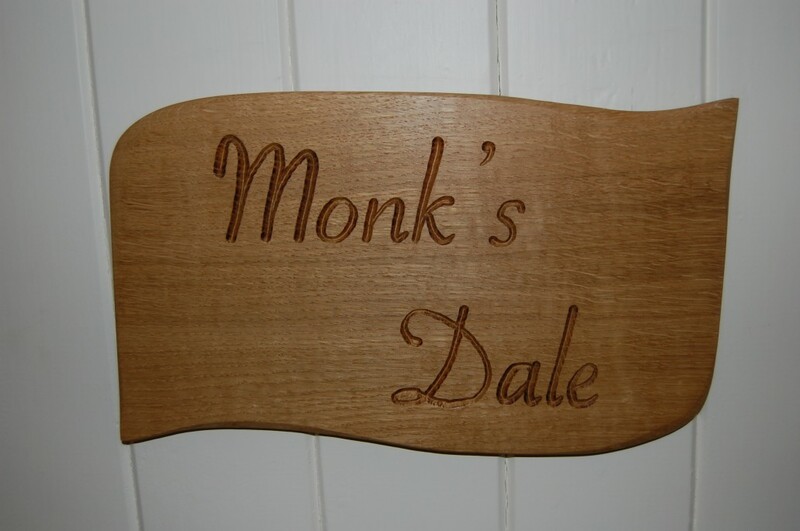 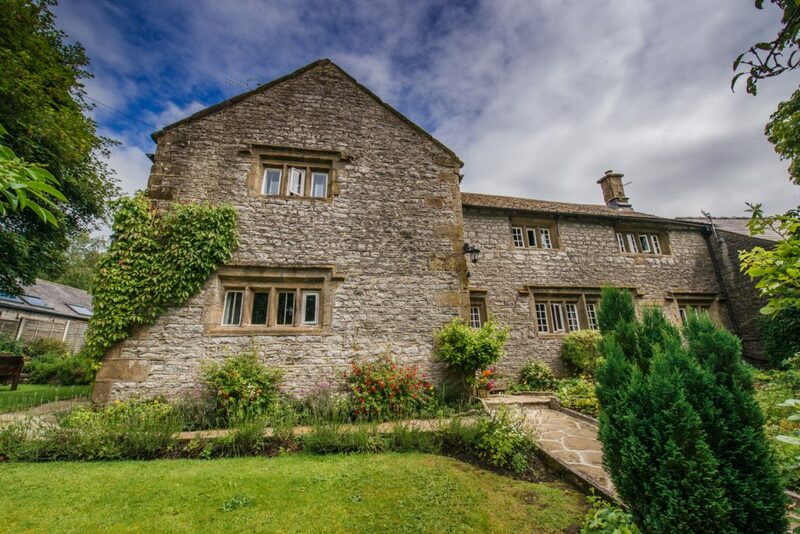 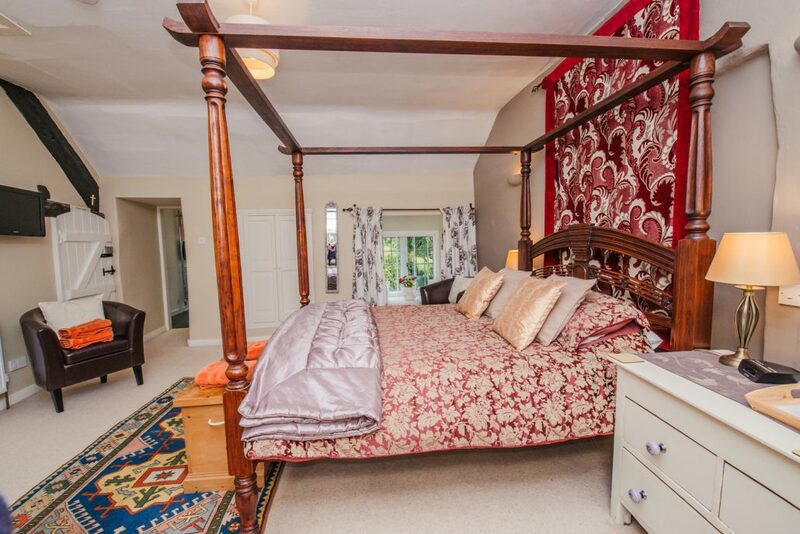 Monk’s Dale is an extra large room with a king size four poster bed with lots of space around it. 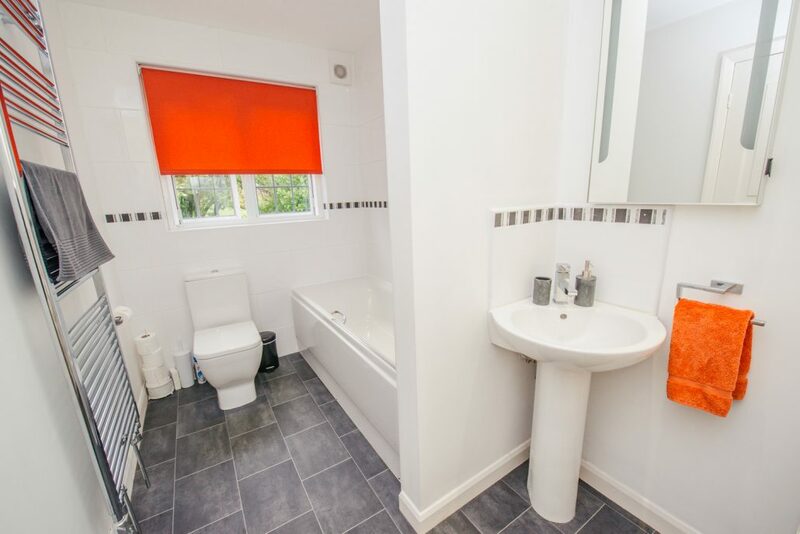 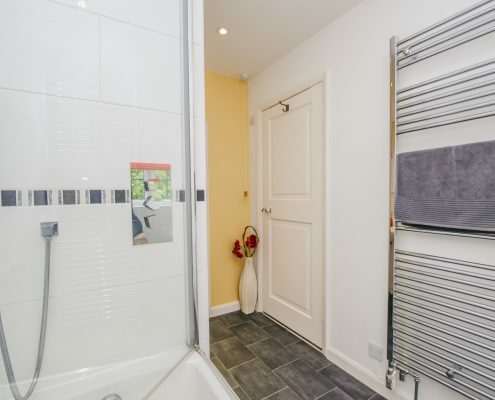 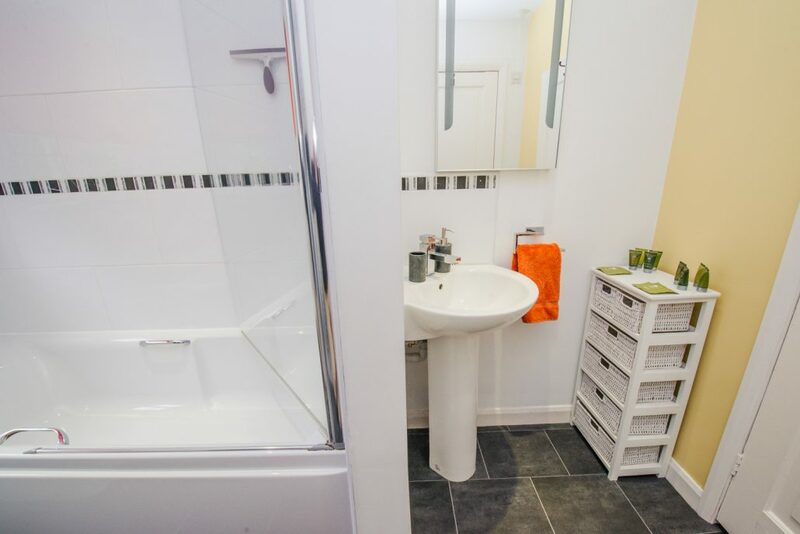 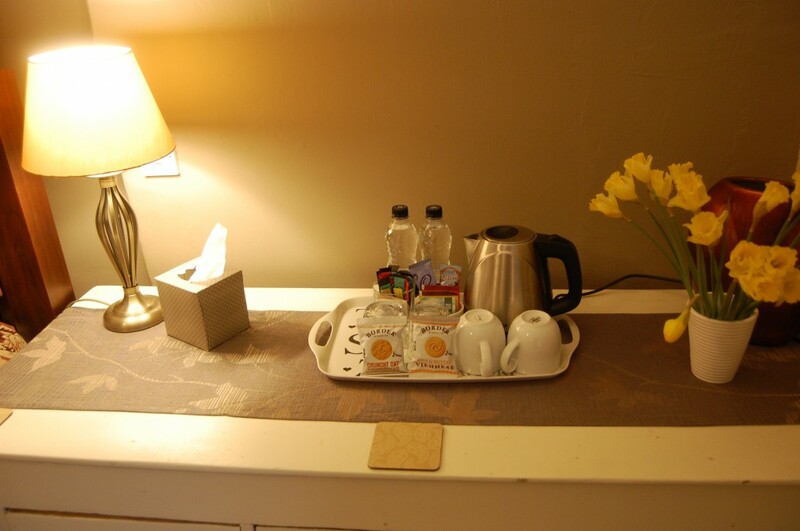 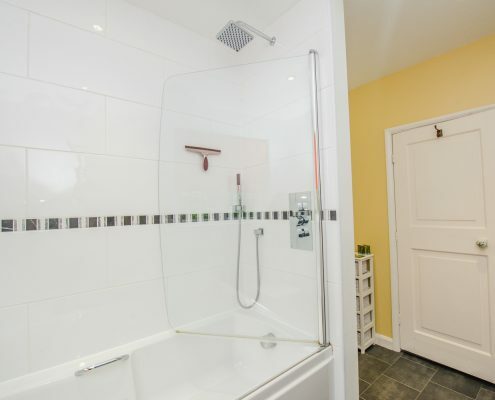 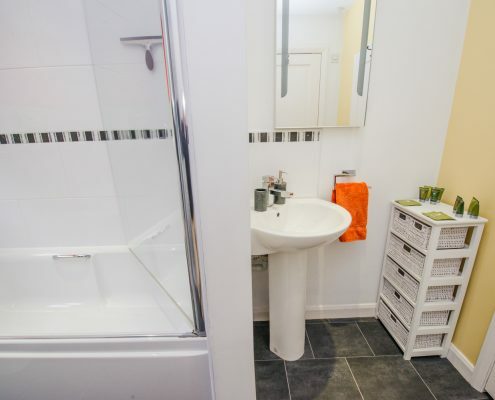 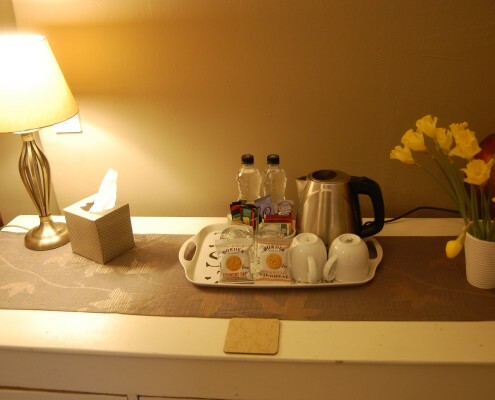 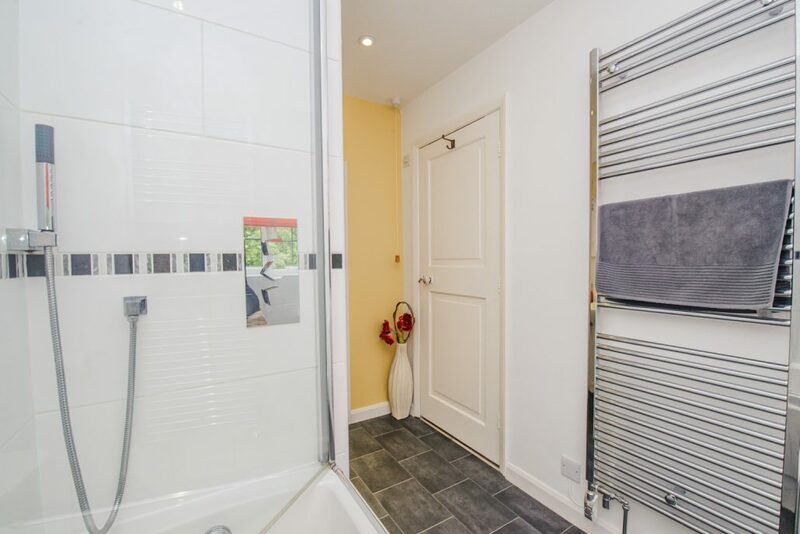 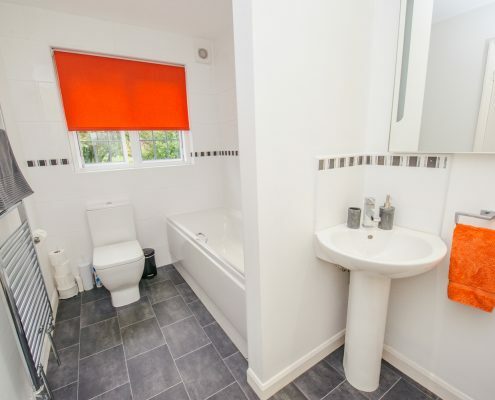 There is a flat screen television, radio alarm, tea tray, hair dryer and complimentary toiletries.The bathroom has been completely redesigned, giving a full size bath with modern shower heads, basin, heated towel rail, large backlit shaving mirror and storage. 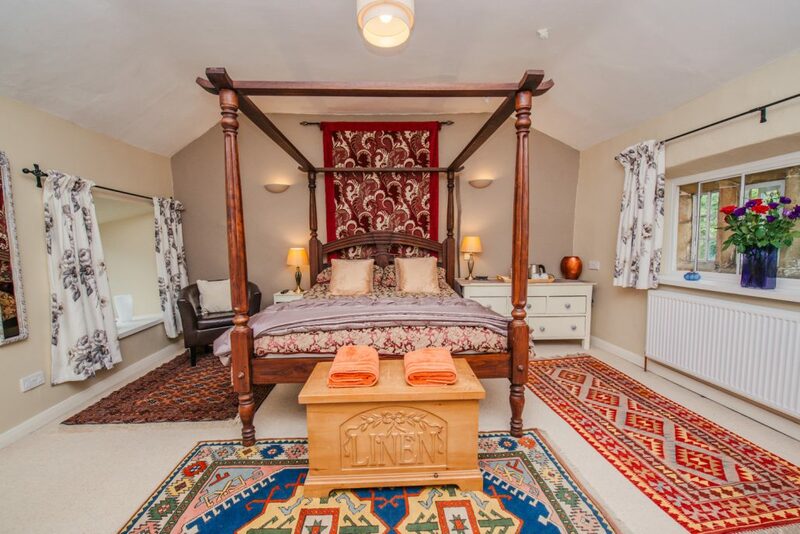 The bedroom and bathroom have windows overlooking the fields and garden at either side of the house, giving gorgeous views from early morning until late at night. 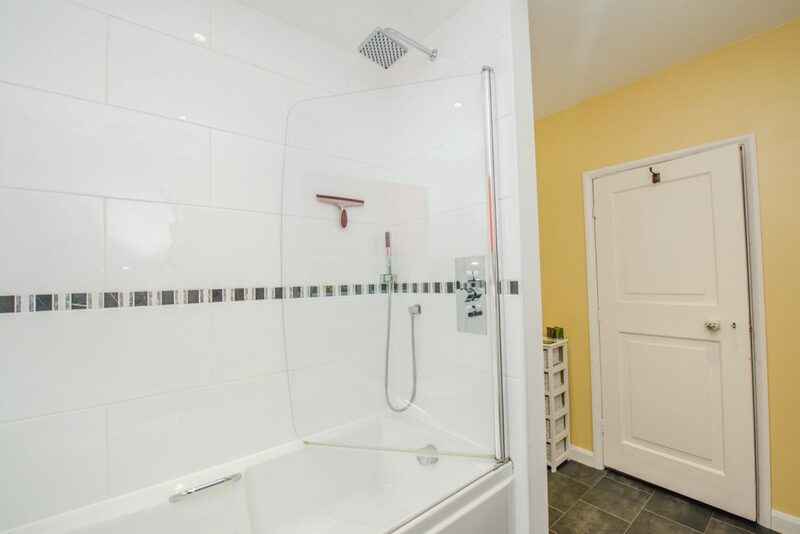 The bedroom has two radiators with thermostatic valves for comfort and control, a full length mirror and plenty of storage space.